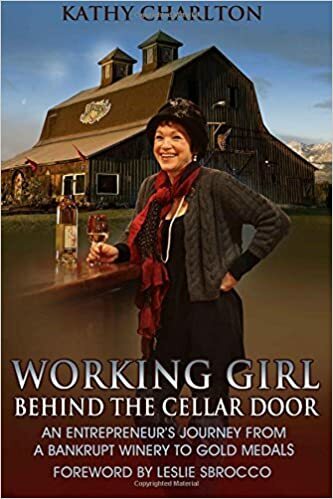 Working Girl: Willapa Hills Farmstead Cheese – Singing the Blues! Willapa Hills Farmstead Cheese – Singing the Blues! I found the video “I Am An Artisan Cheesemaker". Willapa Hills is represented. Each cheesemaker describes “artisan” in just a few words, then combined with beautiful pictures… their story is told. You will fall in love with cheese all over again. Three generations of the family are involved in raising dairy sheep and making farmstead and artisan cheese on their farm in Southwest Washington State. Owners, Stephen and Amy Turnbull, have a passion for blue sheep and cow milk cheese and their emerging family of cheeses reflects their love of blue! Many years of hard work have turned their century old historic barn into a fully functioning milk parlor and state-of-the-art creamery. Inside the barn on the banks of the Chehalis River you will find a flurry of activity from sunrise to sunset. Twice a day from late February through early September the flock of Lacaune-East Friesian cross dairy ewes amble into the barn and gift the Turnbull’s with some of the freshest and creamiest milk you can imagine. Their sheep are raised on pasture without exposure to pesticides, commercial fertilizers or growth hormones. Feed is free of animal byproducts and grass hay is locally grown and nourished by the 70+ inches of rainfall that keeps the eastern edge of the Willapa Hills lush and green. We chose two of their cheeses for our Reserve Tasting: Pluvius and Big Boy Blue and our port style “My Sweet Syrah”. I’ve served Pluvius twice for private wine tasting groups. Of all the cheeses I’ve served, all my guests go back to this cheese… scraping every last morsel off the plate. It is just that good! Pluvius (named for the Greek God of Rain) is Willapa Hills’ only natural rind aged cheese that is not Blue. Pluvius has road appeal due to its texture and mild flavor profile and has quickly developed a following since its introduction at farmers markets in the spring and summer of 2010. Pluvius is often sent to market quite young. Firm in texture with subtle nutty notes, it grows in complexity as it ages. Over time, the natural rind begins to ripen the outer edge of the cheese, creating a deliciously soft creamy layer that increases over time.